Banning individual plastic products is ineffective - Pzwei. Pressearbeit. Hard, 5 June 2018 – ALPLA, the Aus­trian packa­ging solu­tions spe­cia­list, takes a highly cri­tical view of planned EU regu­la­tions on single use plastics. Ban­ning indi­vi­dual pro­ducts threa­tens the European Cir­cular Eco­nomy Action Plan in its ent­i­rety. As well as edu­ca­ting con­su­mers tho­roughly, sustainable collec­tion and pro­ces­sing solu­tions to sup­port plastic recy­cling, and the cir­cular eco­nomy in turn, would be more bene­fi­cial. Rather than con­fu­sing con­su­mers, edu­ca­ting them would be more effec­tive, adds Lehner. ‘Con­su­mers must under­stand that after use, packa­ging does not become worth­less rub­bish, but valu­able raw mate­rials for industry. By dis­po­sing of pro­ducts pro­perly, ever­yone can con­tri­bute to the cir­cular eco­nomy and help pre­vent pol­lu­tion of the world’s oceans.’ Legal gui­de­lines are required to create the con­di­tions for a func­tional and effec­tive cir­cular eco­nomy, says Lehner. Demand for recy­cling mate­rials has risen signi­fi­cantly. As the ALPLA CEO has fre­quently pointed out, over the past three years, the con­ver­sa­tion has moved away from being purely about costs. Sustai­na­bi­lity as a principle has become ent­ren­ched in the industry, not least due to rising con­sumer demand. ‘We see the European Commission’s Plastics Stra­tegy published in January as a posi­tive signal. It sets out an important frame­work for the industry. The expan­sion of recy­cling capa­bi­lity in Europe is par­ti­cu­larly wel­come. This gives recycling‐friendly design a signi­fi­cant boost,’ Lehner insists. ALPLA ope­rates three recy­cling plants: in Aus­tria, in Poland and a joint ven­ture in Mexico. ‘We have invested a great deal in our recy­cling ope­ra­tions in recent years. 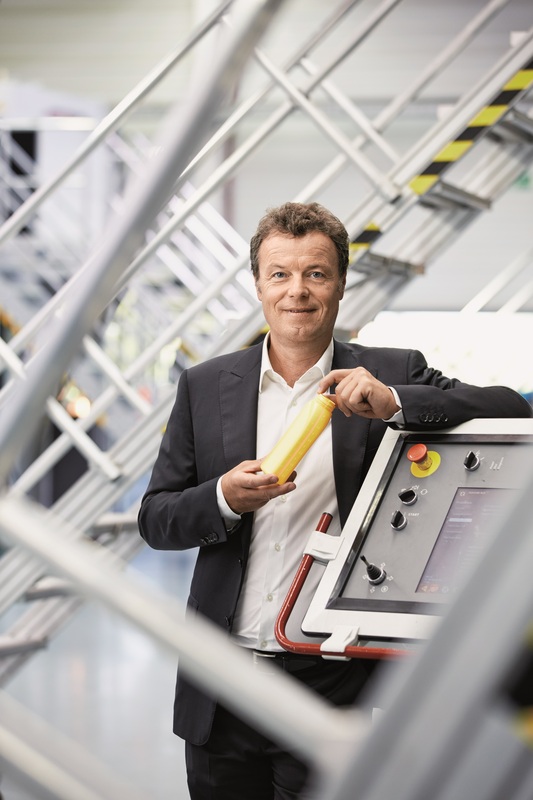 Tech­no­logy has come such a long way that we are now able to pro­duce recy­cled PET at our Wöl­lers­dorf site with only a tenth of the green­house gas emis­sions for new goods,’ says Lehner. He believes the recy­cling industry has enor­mous poten­tial and can make a major con­tri­bu­tion to achie­ving global CO2 tar­gets. ‘The major advan­tage of plastic, par­ti­cu­larly PET, is its good recy­cling capa­bi­lity. 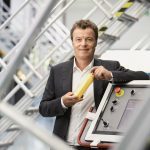 New sub­s­tances, such as bio­based plastics, are ope­ning up new sustainable pro­s­pects for the future of the industry. In all honesty, I think the planned bans put these suc­cesses and efforts at risk,’ wor­ries Lehner.